MiniBuzz is a simple, clean and minimalist business wordpress theme created by ThemeForest suitable for business, portfolio, company and corporate. This theme can also be used for personal or blog site. 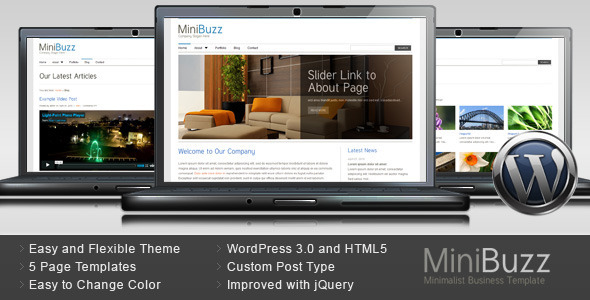 The MiniBuzz theme is easy to use and flexible, easy to change color scheme in the theme options.